Lot 118 Enamel Advertising sign. 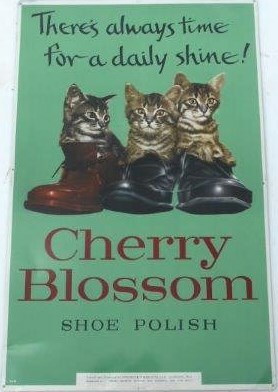 Originaltinplate "CHERRY BLOSSOM" Advertising sign 27.75 ins x 17.5 ins dating from the 1950's. Apart from a minor crease to the bottom left hand corner the sign is in excellent condition throughout.